← Interview with Author Christine Dillon and a Giveaway! I really appreciate all of the questions that I get from my readers. Today I’m talking about the challenges I faced while writing the Virtues and Valor Series. And, as promised in the video, you can enter to win this travel mug and the entire VIRTUES AND VALOR SERIES in ebook form! You have four ways to enter — and you can do them all! This entry was posted in 1. Temperance's Trial, 2. Homeland's Hope, 3. Charity's Code, 4. A Parcel for Prudence, 5. Grace's Ground War, 6. Mission of Mercy, 7. Flight of Faith, 8. 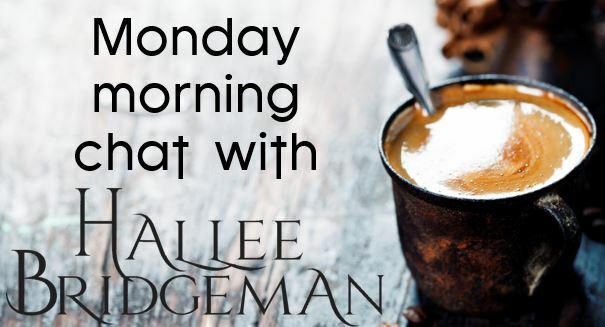 Valor's Vigil, About Hallee, Blog, Monday Morning Chats, Novels, Virtues and Valor Series, Writing Life and tagged challenges writing, monday morning coffee and chat, real life heroines, virtues and valor series, writing obstacles, writing problems, wwii, wwii heroines. Bookmark the permalink. 2 Responses to Monday Morning Chat 2/12/18 – Writing the Virtues and Valor Series – and a GIVEAWAY!! I thoroughly loved this series! Learned so much too! Thank you!